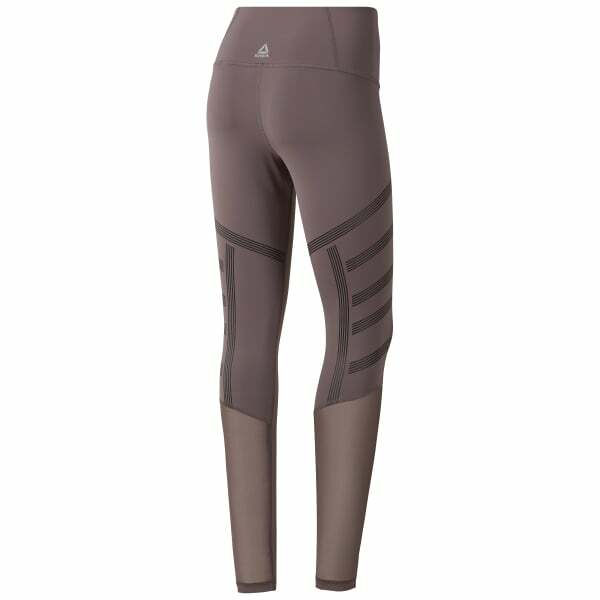 Made to meet the demands of a challenging cardio session, this tech-savvy tight is crafted from Speedwick-infused Nylux for moisture management. The supportive high-rise waistband features an anti-abrasion back panel for flawless wear. Fashion-forward mesh panels give extra breathability, while the symmetrical linear print adds modern style.